Turning an older router into a repeater is almost an impossible act as many default firmware which is usually implemented into our router makes this void, but open-source firmware known as DD-WRT can help us achieve this task and that is the essence of this post on how to vanquish Wi-Fi dead zones by turning an old router into a wireless extender. One of the essence of a wireless repeaters is that it can extend the range of an already existing wireless signal or network but in case your home or office is mainly a wired Ethernet for connectivity, I recommend you setting up an access point but the issue with repeaters is that they cannot offer much bandwidth when compared to dedicated router. A wireless repeater: serves as a receiver for an existing wireless signal or network and also help in the re-broadcasting of the wireless connections and also it increases the range of the wireless connectivity. It does not normally require a wired connection to the router but the performance is sometimes worse. An access point: - In order way round access point is just like a second router which offers wireless access to the network connectivity, unlike wireless repeater it offers a wired connection to the primary router and also with a better performance. Note: If your home or office is basically wired for Ethernet connection then access point will be a great idea for you but if otherwise i.e. no wire is present at all, then a wireless repeater will be the best option for you. Before configuring anything that is required for the sole aim of this post please ensure that DD-WRT router is making use of the default settings. And this is usually done by what we call a hard reset or 30/30/30 reset and this will remove almost all configuration from the NVRAM of the router. Just follow the below procedure to get that done. >>1. Simply plug in the router into the power supply if you have not done that already, hold down the “reset” button usually found on the bottom of the router for 30 seconds. After that your router will reset, don’t release it yet, just keep on holding the button. >>2. Still holding down the reset button, just proceed by unplugging the router and wait for a time frame of 30 seconds. >>3. Still holding down the reset button as usual, plug in the router again. Sustain by pressing the reset button for 30 seconds. Note: The simple explanation to the step you have just carried out above simply means that you are holding down the reset button for exactly 30 seconds with the router on, 30 seconds with the router off and also 30 seconds with router on again and after undergoing those procedures then you are now ready to do some reasonable configuration. Check out: How to share Protected Wi-Fi Wireless Connection Without Giving Out The Security Password or Pin. Before proceeding to the various steps involved in this approach, in case your router is currently plugged into any network, please simply unplug it as Ethernet cables is not required in this case of a repeater. What you need to do, is just to connect the router with a wireless network, during the connectivity the default SSID is normally dd-wrt and also admin username and password setting is required. >>1. Firstly, go to the “Wireless” section and click the “Basic” tab. >>3. Also Set “Wireless Network Mode” to be compatible (match) with your router. This approach may require you to make some reasonable search, nevertheless “Mixed” is fairly universal. >>4. Continue by setting the SSID to match your router. In this post we chose “Potcasting,” above, because is the actual name of the router to be repeated but your case may be different. >>6. Provide a unique SSID for the virtual interface. Just as I have said before we make use of “Potcasting-Repeater,” but you may decide to use a different name as the case may be. But the only thing that you must avoid is not to use the same name as your primary network. >>7. Finally, hit “Save,” please don’t Apply yet. Just wait until the process completely finished. After you are done with all the procedures above next is to proceed to the “Wireless Security” section. >>1. Please make sure that the settings exactly match those of your primary router under the “Physical interface” section. For instance, peradventure your primary router makes use WPA2 Personal with TKIP encryption, set things the same here, and type in your key as you will do if you are connecting from a Laptop/PC/Desktop or Mobile phone. >>2. Simply establish the settings you will use to connect the router under the “Virtual interface” section. Making these identical to the settings in the “Physical interface” section is essential. For this to be effective simply go to “Security” section and simply disable the “SPI Firewall,” and uncheck everything housed under “Block WAN Requests.” hit “Save.” After that. When you have carried out all the steps successfully simply take a return to the previous page where you have made series of configurations to see if the settings made are corresponding, when you have checked and satisfied then hit “Apply” button. Immediately your router will restart and you will be able to view the SSID you choose earlier for your repeater. Simply connect to it and make a verification that the internet is working at the moment by simply going to any digital website, if it works perfectly then be glad for you now have a wireless repeater. Please make sure the router is not plugged into anything but power supply and also proceed by connecting wirelessly. Note that the default SSID is usually “dd-wrt” and also admin username and password is required. Simply begin at the “Basic setup” page. >>1. Simply change the local address to something different from your primary router uses. We will make use of “192.168.1.2.” and please don’t forget this IP address as we will require it at the point of access point configuration. >>3. Continue to disable the DHCP server. The essence of this, is to prevent your access point from fighting your present router for it to assign IPs that is not needed at the moment. >>4. Next, simply assign the WAN port to switch. This is not that mandatory but it provides you with an extra port later if needed. >>5. Simply hit “Save,” please make sure you don’t click on “Apply” yet as the router will misbehave when the new settings is applied as it is not ready yet. Now proceed to the wireless section and make some necessary “Basic Settings” to the sub-page. >>1. Please ensure that the “wireless mode” is set to “AP” (default setting). >>3. Simply hit “Save,” but not also “Apply” yet. Let now go to the sub-section of “Wireless Security” observe whether you left the SSID identical to the primary router, if yes simply copy the securities present here. This is to ensure that devices seamlessly switch between the two access points but if you make use of unique SSID, you may decide to use different security settings. I recommend WPA2 if you really want a very secure network. Also proceed to “Security” section, and disable the firewall settings. The essence of disabling the firewall is because your router will not filter any internet connection, in the essence of that, it is therefore unnecessary. Just go through all your settings if you think you are Ok with them simply click “Apply settings” and the router will restart and connect to the network somewhere close to a dead zone and after the connection the Dead will be no more. After undergoing all the procedure of turning your old router into a repeater or second access point the next question that should come to your mind is where can I put it? 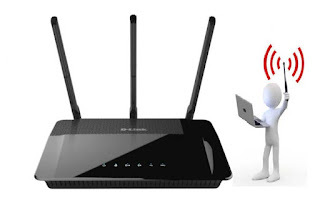 The Repeater should be placed near the dead zone, the reason of placing it near the dead zone (somewhere close enough to the router to still get a decent signal) is because the repeaters depends on the wireless signal receives from your primary router. Just experiment it yourself following the guidelines until you attain a suitable position to place it. The suitable place to keep the access point is usually in an extreme corner of the dead zone and make sure there is an existence of wired connection. The reason for this, is to enable better connection when needed and this also will depend on where the access point was wired from. In case you still want to acquire more knowledge about DD-WRT, simply Check out the DD-WRT wiki to get more ideas on how to link routers, because this firmware can really do some amazing things beyond your expectation.